Investment Grade Credit had a really solid week. It might not win best actor in the market, but it turned in a really nice performance, generating total returns of around 70 basis points for the week (our best guess right now, before all the data is in…), and excess returns compared to treasuries of about 8 basis points. The long end was once again the star – for the month of February, long Corporates were up close to 2%, with excess returns of over 1%. Credit overall was up around 1% in February, with excess returns of around 60 basis points. What’s interesting is that there was a lot going on this week – both on the economic front and the geopolitical front – that could have derailed the market for credit. But after a run of weak data which has been mostly discounted due to weather, we ended up with strong housing numbers and durable goods orders, which helped support spreads. And the saber rattling over the Ukraine seemed enough to keep a lid on rates. Finally, Janet Yellen’s weather-delayed testimony on Thursday seemed to give both rates and risk a bit of a boost. We know she’s not saying anything much different than her predecessor – asset purchases will be reduced at a measured pace, they are continuing with their program, but they will react to any significant change in the outlook. There’s just something soothing about how she says it. Janet Yellen definitely gets our vote for best actress. The new issue market responded with about $30 billion in supply this week – the biggest week since early January. Cisco was by far the largest issuer, bringing $8 billion across 7 tranches; bonds were well priced, and we think they were among the better performers this week. 3 year bonds did especially well, tighter by 11 basis points, while the 10 year was tighter by 3. Goldman Sachs, Williams Partners, Juniper Networks, Fifth Third Bank, and CMS Energy were all in the market this week, and all performed well, but our vote for best supporting actor goes to Cisco based on the sheer audacity of their performance. Originally we were going to write about a disappointing Chinese PMI in conjunction with an improving US manufacturing situation and their macro ramifications, but watching Olympic curling changed our mind. Why? Because curling made me think about how investors may respond to changing macro conditions. Unlike other ice sports, Curling does not have a Zamboni cleaning the ice between periods (i.e. ends). Therefore ice conditions change during a match affecting the stone’s speed and curl (direction). While changes in the ice are noticeable (often dramatically so) as the match progresses, this is just part of the game. As a result you try to predict how a shot will react in a particular condition. However, strategy—looking for opportunities for good stone placements—never changes. This is a lot like investing. There are a lot of changes to the macro playing field occurring constantly; but we usually have no idea to what extent those changes will impact the market in aggregate. Therefore how do we investors adapt to all these changing crosscurrents on our playing field? By ignoring them in the macro and paying close attention to them in the micro. It’s exceptionally hard to predict what a decelerating Chinese manufacturing situation may do to the US economy, but it is far easier to adjust one’s earnings estimates for companies that do or wish to do business in China, such as Emerson Electric, Yum Brands or Apple. If those estimates end up being outside your risk tolerance you can adjust your positions in those names accordingly, likely leading to aggregate changes in your portfolio that reflect these changed circumstances. This often leads to a better decision making process than a top down approach–trying to divine how a perceived macro change will impact a portfolio. Therefore I’ll leave the dramatic macro calls to the talking heads on financial networks. So like curling, its better that we pay attention to our portfolios one shot at a time than trying to predict how playing conditions will alter the game in total. Conditions in curling ice, and markets, do change but you can make adjustments to your “game” so your tactics change but not your goal—making good shots. Last week January retail sales numbers were released and were below consensus. Some market prognosticators pointed toward bad weather as a factor in the retail sales drop. There is no doubt we have had a tough winter, but are severe weather events enough to change investor strategy? I don’t think it does. Why? Part of it perhaps is the media strongly reacting whenever there is a notable weather event in the Northeast, where most reporters reside. This may have an impact on how data is analyzed by investors in the short-term as a good portion of which also live in that region. Plus with weather becoming more of scientific debate with points/counterpoints surrounding global warming, adverse weather often gets more ink than it once did. Being a Midwesterner, I have always been astounded at the attention that weather events in the Northeast get, especially when it pertains to snowfall. The fact of the matter is that while we in the Midwest get on average more inches snow in total per year, certain major cities in the Northeast usually get on average more large snow accumulation days per year than certain major cities in the Midwest. Considering the Northeast does get on average many sizable snowstorms, conceptually the market should discount a range of potential severe weather events as many typically happen each year. However this winter arguably has seen worse weather than most, especially here in Minnesota, and some companies have guided numbers down due to weather. But there is also some danger into looking too closely at weather related data points, especially since there were also a large number of consumer discretionary companies that did not guide down due to snowstorms. Additionally, many would say retail sales were somewhat lackluster before January and internet sales, which are arguably weather independent, were also not as robust as earlier months. But what about truly significant weather events like Hurricane Sandy? Don’t they have an impact on retail sales? Perhaps in the short run, but looking at the chart below one can argue that statistically significant changes in retail sales correspond more toward economic cycles and events (e.g. dot com bust in 2001 and 2008-9 financial crisis) than any weather event in particular. Therefore I usually figure I am better off from an investment strategy standpoint determining valuations of retail companies, where we are in the cycle, and trying to discern retail trends than trying to predict short-term weather impacts. The news in credit this week was dominated by the merger announcement between Comcast and Time Warner Cable – just in time for Valentine’s Day. Time Warner Cable bonds took a big hit last June, with spreads widening by about 150 basis points in response to romantic overtures from John Malone at Charter communications. Prices of TWC’s long bonds dropped by about 15-20 points, and have been languishing ever since on fears that Malone would prevail, and the company would lose its investment grade ratings. Comcast was an on-again, off-again suitor in this ménage a trois, and we wondered if they would ever take the relationship seriously. For credit investors who held onto, or took positions in TWC bonds during this drawn-out courtship, they finally got lucky. Immediately following the announcement of the all-stock deal, TWC bond spreads gapped about 125 basis points tighter, and the long bonds soared about 15 points. Not a bad one-day return for investment grade credit. One of the factors driving the deal seemed to be the desire on the part of management to pursue an all stock transaction, as it would help bondholders as well as stockholders. As creditors, we just aren’t used to seeing that kind of love. Credit investors who held on during the January-end Emerging Market anxiety attack also got lucky, as spreads have tightened over the past week almost to the levels we saw before the mini-risk flare. Month-to-date excess returns are positive, and the long end is once again leading the way. We think part of the spread movement in secondary paper has been driven by a relatively light calendar, as the weather (and New York City weather in particular) continues to play an outsized role in our market. Taking out the Sovereign issuers, we were left with just $14 billion in supply, dominated by the bank sector with $4.25 of 3 year fixed and floaters out of JPMorgan, $2.75 billion 3 year floaters and 5 year fixed from Barclays, $1.75 billion 3 year fixed and floaters from Bank of America, and $2 billion from Cap One across 3 shorter duration tranches. If you did not want to buy short bank paper, you were definitely out of luck in new issue this week. Next week is looking better though – at this point there may be some pent-up supply, so we’re counting on at least $20 billion. If you’re willing to wait, you could get lucky. 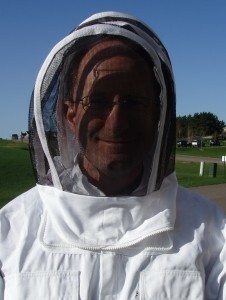 One of my joys is beekeeping. In fact, I have learned a great deal about human investing behavior from observing bee behavior. For example many people believe that bees hop from one flower to the next, be it a dandelion, snap dragon, petunia, or whatever flower happens to be around. Actually bees are very particular about what flowers they visit. They usually focus solely on what is blooming in force at the moment such as a grove of apple trees or a large field of clover. Investors, for better or worse, are very similar—“the swarm” congregates to whatever is currently blooming in the market. Investment styles come in and out of season, much like flowers. Most investors focus on the business cycle—certain sectors work at certain times in the cycle. We believe this is true, but we also think that we can break it down even further. Since most of us have a financial background, often times how investors focus attention on certain financial statements (i.e. income, cash flow and balance sheet statements) can work better as a guide to collective investor sentiment than analyzing individual sectors. For instance when we are in the middle of a market upturn, investors often focus on income statements as they struggle to ascertain what to pay for future growth. Cash flow and balance sheets in this phase may not tell the whole story in the short-term as increased leverage and lower cash flows as companies increase sales forces, capacity, head count and other expenses associated with potential growth. Therefore accurately forecasting revenues on the income statement in this phase may be the most crucial task especially if investors believe that operating leverage on the income statement follows. As the market matures and goes into a downturn, usually this is when we see cash flow statements take center stage. Investors may become preoccupied with the sustainability of results. More predictable free cash flows mean more potential earnings streams, more cash flows to shareholders and likely a less volatile stock. Additionally the ability to deleverage with free cash flows not only strengthens the financial outlook of the company; it also should give it a better ability to refinance debt as often interest rates decline at this phase of the cycle. Finally as the market bottoms, this is often when balance sheets get their love. This is when investors focus on inventory levels, working capital management, debt ratios, potential goodwill write-downs and the like to determine how well the company is positioned to come out of a downturn financially. If the company has a strong balance sheet, it should have the ability to be more nimble than its peers to make timely growth investments in the future. Therefore we likely can learn a lesson from our furry black and yellow friends. Don’t look at what individual bees are doing (although they are fun to watch). If one wants to determine which direction the market is going, watch the swarm. It may tell you where the cycle is if “the buzz” is focusing on one particular financial statement. If you are interested in bees and beekeeping, I recommend “The Beekeepers Lament” by Hannah Nordhaus.